There are major challenges. 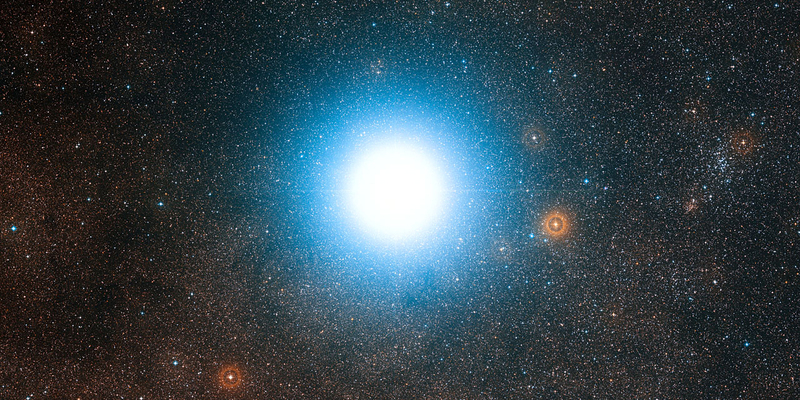 “Using current propulsion technology, travel to a nearby star (such as our closest star system, Alpha Centauri, at 4.37 light years from the Sun, which also has a a planet with about the mass of the Earth orbiting it) would take close to 100,000 years,” according to Icarus Interstellar, which has teamed with the Dorothy Jemison Foundation for Excellence and the Foundation for Enterprise Development to manage the project. Uploading research is politically incorrect: it is tainted by association with transhumanists — those fringe lunatics of the Rapture of the Nerds — so it’s often difficult to justify and defend. But MIT neuroscientist Sebastian Seung has speculated that if models of brains become increasingly accurate, eventually there must be a simulation indistinguishable from the original. In Connectome: How the Brain’s Wiring Makes Us Who We Are, he explains how mapping the human “connectome” (the connections between our brain cells) might enable us to upload our brains into a computer. In fact, “neuroscience is ready for a large-scale functional mapping of the entire neural circuits,” Harvard scientist George Church and other researchers conclude in a landmark 2012 Neuron paper. I suggest that developing mind-uploading technology for software e-crews may make the 100YSS project practical, while delivering equally important spinoffs in neuroscience, computer science, and longevity, perhaps even including indefinite life extension. The new brain can be much more resistant and long-lived than the old biological brain, and it can be housed in a similarly resistant and long-lived robotic body. Robots powered by human uploads can be rugged, resistant to the vacuum and the harsh space environment, easily rechargeable, and much smaller and lighter than wetware human bodies. Eventually, human uploads augmented by AI subsystems can be implemented in the solid-state circuitry of the starship’s processing system. Boredom and isolation will not be a problem for e-crew members, because the data processing system of a miniaturized starship will be able to accommodate hundreds and even thousands of human uploads. The huge reduction in weight resulting from uploading would allow for radical propulsion systems, such as “light sails” (aka “solar sails”) — spacecraft driven by light energy alone. The Planetary Society currently has a research project to develop light sails . The low mass of light sails — combined with the e-crew’s ability to withstand extreme acceleration — might allow for achieving a substantial fraction of the speed of light, so the time to go to the stars would be significantly reduced. 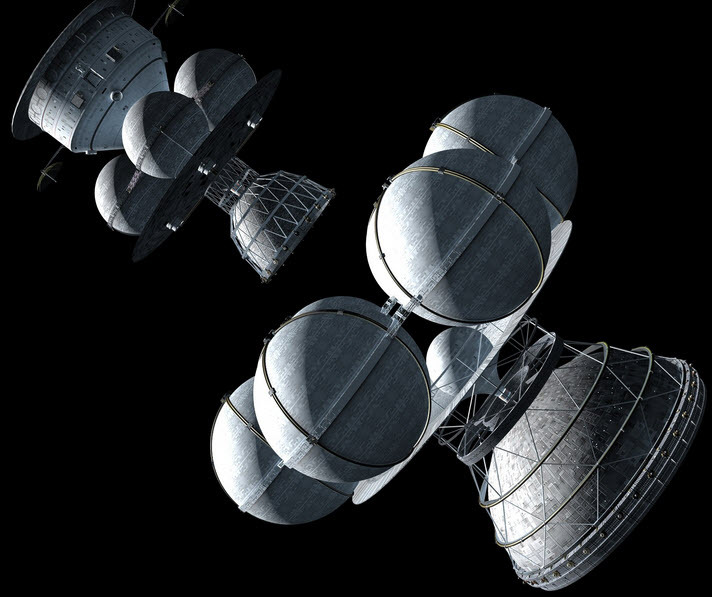 E-crewed interstellar missions have been described by science fiction writers. Greg Egan was one of first in Diaspora. In Charlie Stross‘ Accelerando, the coke-can-sized starship Field Circus, propelled by a Jupiter-based laser and a light sail, visits a nearby star system with an e-crew of 63 uploaded persons who have a hell of a lot of fun on the way. Here we are, sixty something human minds. We’ve been migrated — while still awake — right out of our own heads using an amazing combination of nanotechnology and electron spin resonance mapping, and we’re now running as software in an operating system designed to virtualize multiple physics models and provide a simulation of reality that doesn’t let us go mad from sensory deprivation! And this whole package is about the size of a fingertip, crammed into a starship the size of your grandmother’s old Walkman, in orbit around a brown dwarf just over three light-years from home. Of course. a light sail powered by lasers back home, can only push a starship on an one-way trip,but the data from the uploaded astronauts would will be beamed home via the Interplanetary Internet. 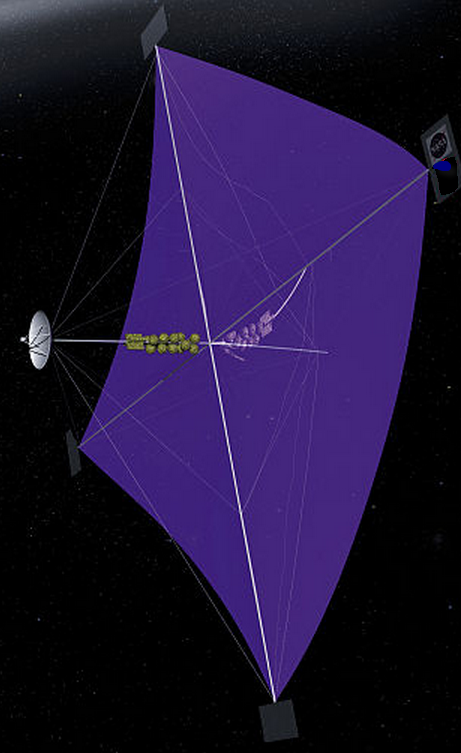 The “starwisp” concept proposed by Robert L. Forward is a variation of a light sail remotely driven by a microwave beam instead of visible light (but has known problems). One problem with implementing mind uploading is that it’s plagued by metaphysical discussions about the continuity of personal identity (“is only a copy”), which are irrelevant here. Even if I thought that uploads will be only copies, I would be not only happy, but also grateful and honored if my upload copy could participate in the first interstellar mission. But even coarse, preliminary uploading technology could be sufficient. “Sideloading,” proposed by science fiction writer Greg Egan in Zendegi, is the process of training a neural network to mimic a particular organic brain, using a rich set of non-invasive scans of the brain in action. 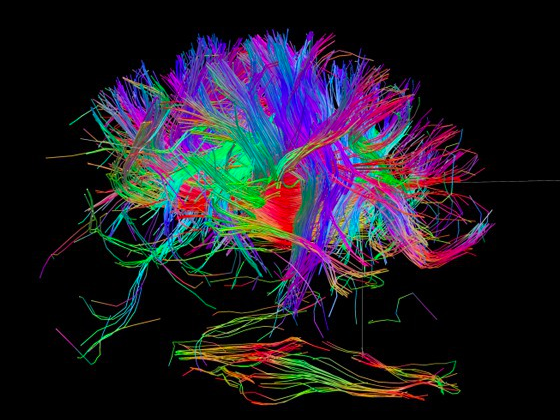 Egan describes a “Human Connectome Project,” completed in the late 2020s, that produces detailed connectome maps from brain scans of thousands of volunteers. The maps could be used to build an average human neural network, which could serve as a model of a generic human brain. Then the model could be tweaked and fine-tuned to emulate a specific living person, using in-vivo brain scans and supervised training sessions in a VR environment. In Zendegi, the resulting personalized model passes the Turing Test and often behaves as a convincing emulation of the original. If strong AI is developed, perhaps smarter than humans, why should we bother to upload humans? One answer is that most of us will want human minds on our first journey to the stars. However, I agree with Ray Kurzweil’s speculation that we will merge with technology, so many future persons will not be “pure” humans or pure AIs, but rather hybrids, blended so tightly that it will be impossible to tell which is which. Ultimately, I think space will not be colonized by squishy, frail and short-lived flesh-and-blood humans. As Sir Arthur C. Clarke wrote in Childhood’s End, perhaps “the stars are not for Man” — that is, not for biological humans 1.0. It will be up to our postbiological mind children, implemented as pure software based on human uploads and AI subsystems, to explore other stars and colonize the universe. Eventually, they will travel between the stars as radiation and light beams. Let the AIs, not us, formulate a billion-year plan!